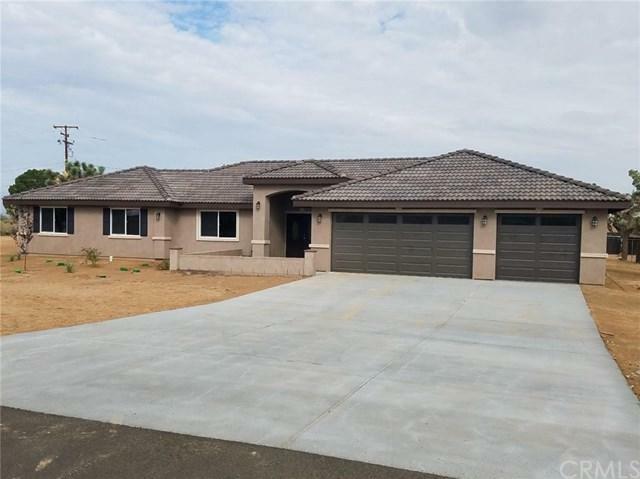 Brand New Construction Home, Located in the desirable area of Apple Valley. This beautiful home features split floor plan includes 4 bedrooms 3 full bath. Spacious gourmet kitchen with beautiful granite counter-tops, walk-in pantry, plenty of cabinets for storage, recessed lighting, huge island will include cooktop with above stainless steel hood with breakfast bar and wall oven & microwave. Very nice engineered hardwood floor throughout. Ceiling fans throughout the home. Oversized masterbedroom with huge Brand New Construction Home, Located in the desirable area of Apple Valley. This beautiful home features split floor plan includes 4 bedrooms 3 full bath. Spacious gourmet kitchen with beautiful granite counter-tops, walk-in pantry, plenty of cabinets for storage, recessed lighting, huge island will include cooktop with above stainless steel hood with breakfast bar and wall oven & microwave. Very nice engineered hardwood floor throughout. Ceiling fans throughout the home. Oversized masterbedroom with huge walkin closet masterbath, also includes junior suite with private bath. Indoor laundry room. Nice entry porch and back covered patio. Over sized finished 3 car garage. Long driveway tons of concrete. This home is commuter friendly, easy highway access, close to shopping, schools. Must see!